I’m sure that most people would agree that, as well as the German shepherd and the Bull terrier, Golden Retriever puppies and Dachshund puppies are some of the cutest around. So, why not mix their cuteness together! 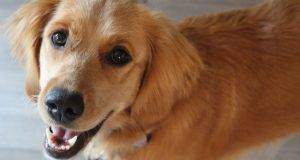 If you are looking for a “designer dog” pet that is cute and tenacious, a Golden Retriever Dachshund mix might be perfect for you. These mixed-breed dogs are truly one of a kind, and they might be a perfect addition to your family. If you are looking into one of these dogs as a puppy, this is the article for you. We'll dive into the characteristics of these animals to help you decide if they are right for you. By the end, you'll know more about the appearance, temperament, and training needs of these offbeat pups. What Is a Golden Retriever Dachshund Mix? 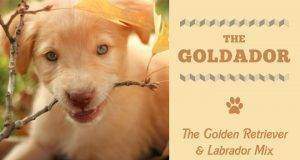 What Makes a Golden Dox Different from a Golden Retriever? Should I Get a Golden Dox? Golden Retrievers were bred in Scotland in the 19th century. They were a response to changing hunting technology. 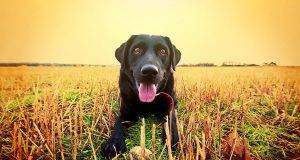 At the time, hunters were using Spaniels and other dogs to retrieve game. As gun technology improved and shots became more accurate, the need for a new type of dog became apparent. Often birds fell into the water at long distances. The Spaniels were not prepared to swim out to fetch the game. So breeders worked to create a dog that loved to swim and was impervious to the cold weather. It also had to be obedient and live to please its owner. The result was the Golden Retriever that we know and love today. These dogs have long coats that keep them warm and they have an instinctive love of water. Golden Retrievers are warm, loving, and open to strangers. They love to be petted and are extremely gentle. They are one of the most popular family dogs out there because they are easy to train. 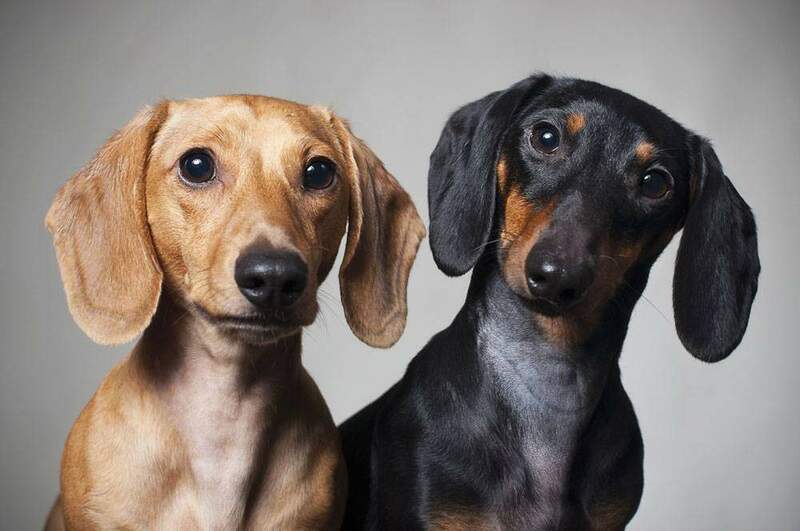 Dachshunds are also hunting dogs, bred by Germans to find den animals. In fact, the word Dachshund translates to badger dog in German! Their long skinny bodies helped them burrow into fox and badger homes to catch their prey. They also have bold personalities that leave them fearless during a hunt. Eventually, these breeders began turning dachshunds into pets rather than just hunting dogs. Their interesting shape captured the hearts of many humans. Over time, they grew smaller and today they are primarily bred as pets. Dachshunds are loyal, lovable, and fun. They are also energetic and playful. Owners around the world love these little dogs. 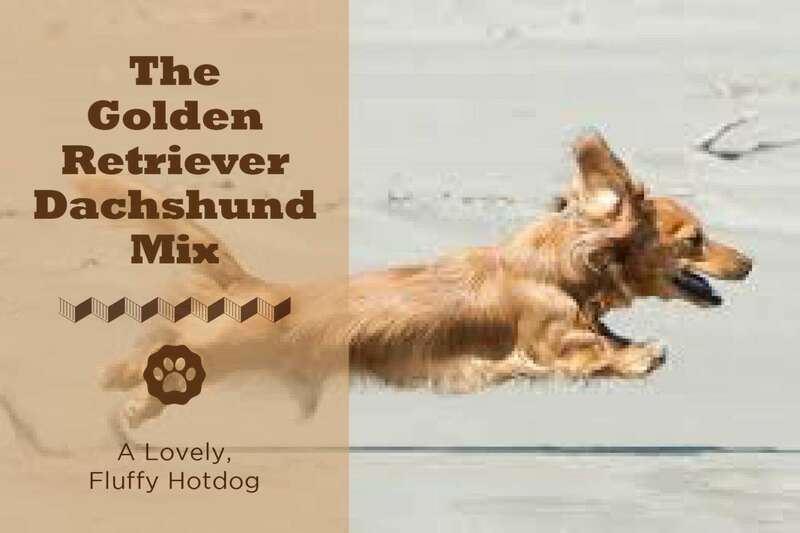 The Golden Dox attempts to take the best of each of these animals and combine them into one sweet pup. However, because this hybrid is so new, there hasn't been a standardized Golden Dox to date. No two dogs are the same and each one will vary greatly depending on how much Golden or Dachshund it has. 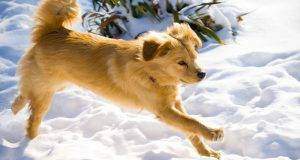 Golden Dachshund mixes are different from Golden Retrievers in a lot of ways. The first way that these two dogs are different is in appearance. The Golden is well-known for its long, lavish coat that comes in all shades of gold. The Golden Dox, however, can vary in appearance. Their coats can either be wiry or smooth. They can also either be short or long. Some Golden Doxes will look like small Golden Retrievers. Others can look like longer, wavier-haired Dachshunds. Most fall somewhere in the middle. Your Dachshund Golden Retriever mix’s appearance will be determined by its parents. 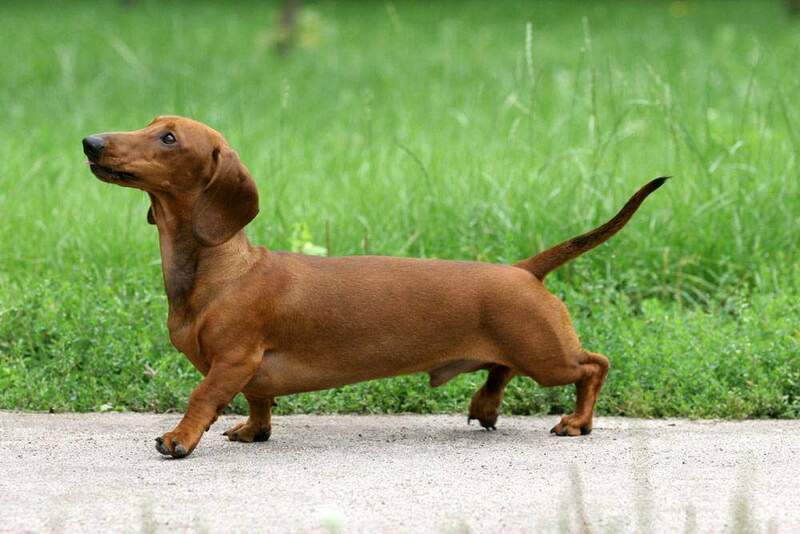 Ask your breeder what their dogs normally look like and whether they lean more Dachshund or Golden in appearance. However, the largest difference between the two dogs probably lies in temperament. While Goldens are sweet and affable, Dachshunds are notoriously stubborn and independent. The tension between these two is obvious in the Golden Dox. 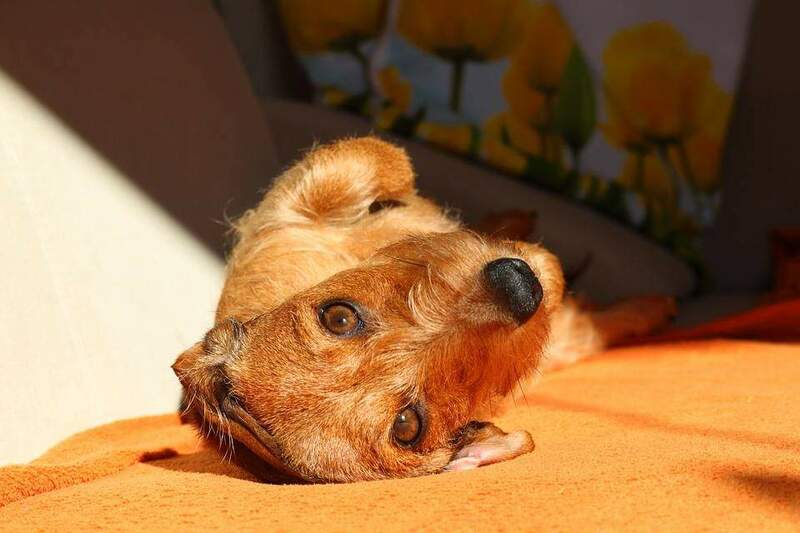 If your dog leans more towards the Dachshund end, you can expect it to be strong-willed. Because both parent breeds are smart it will have high intelligence. If it is more of a Dachshund it might not be as interested in demonstrating that intelligence. The dog can learn all of the commands fast but will decide when it wants to obey. Read our dog food guide here. Both parent breeds are hunting dogs so you can bet that your Golden Dox is going to be active. If you are interested in this dog, you will need to devote at least an hour a day to exercise. The type of exercise will vary depending on the dog. If it leans more towards a Golden Retriever, it will likely love to play fetch or go swimming. Dachshunds, on the other hand, are terrible at playing fetch. You can teach them how the game works but they will never fully participate. They might bring the toy halfway back to you then run away again. These dogs are better walkers, you should take them out for at least 30 minutes, and consider getting a suitable harness like the ones recommended here. It is likely that your dog will have a mix of these two needs. This makes them a fun and interesting dog to play with! When it comes to training, you should read up on both Dachshunds and Goldens. Dachshunds can be difficult to train because of their stubbornness. They will learn commands quickly but are not as interested in obeying them. These dogs need a more methodical approach to training. 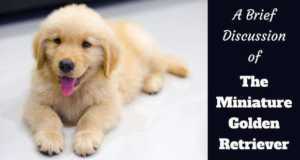 Goldens are easy to train and love to make their owners happy. They will learn fast and through repetition. They are generally determined to get things right. Because of this, they will keep practicing until you, the owner, is satisfied. A Golden Retriever Dachshund mix can be an excellent addition to any family. They might be difficult to train, though, and their personalities can vary greatly. We recommend this dog for active families that have plenty of time to devote to training. There you have it, all the information about a Golden Dox that you could need! 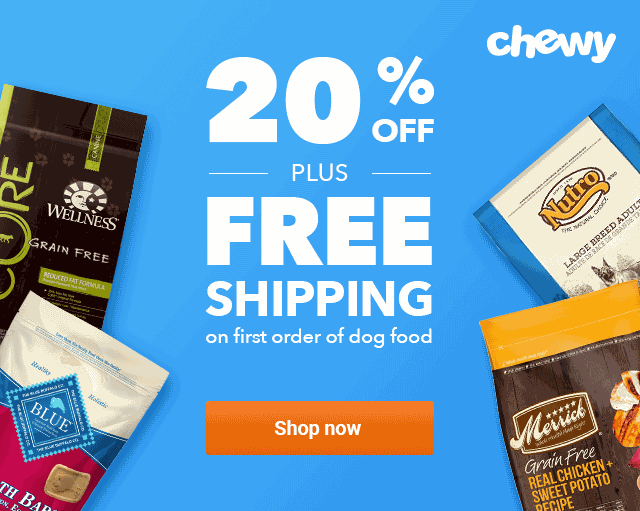 The Miniature Golden Retriever – What is it Exactly?